How do I create a shift that ends the next day? 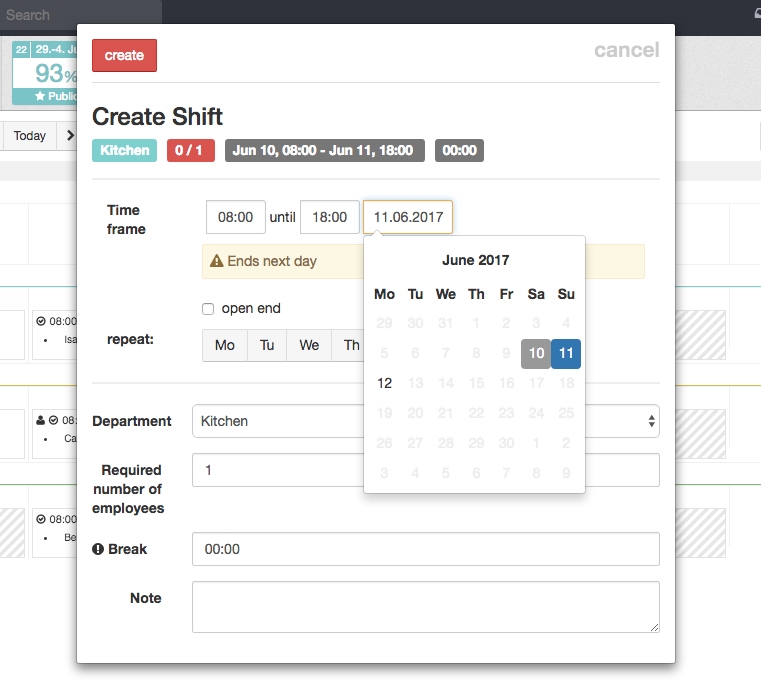 Calendar view: After you have created a shift in the schedule you can change the time period by expanding it with the cursor into the following day. The date will change automatically. By clicking on the shift a window will open where you can view the details. 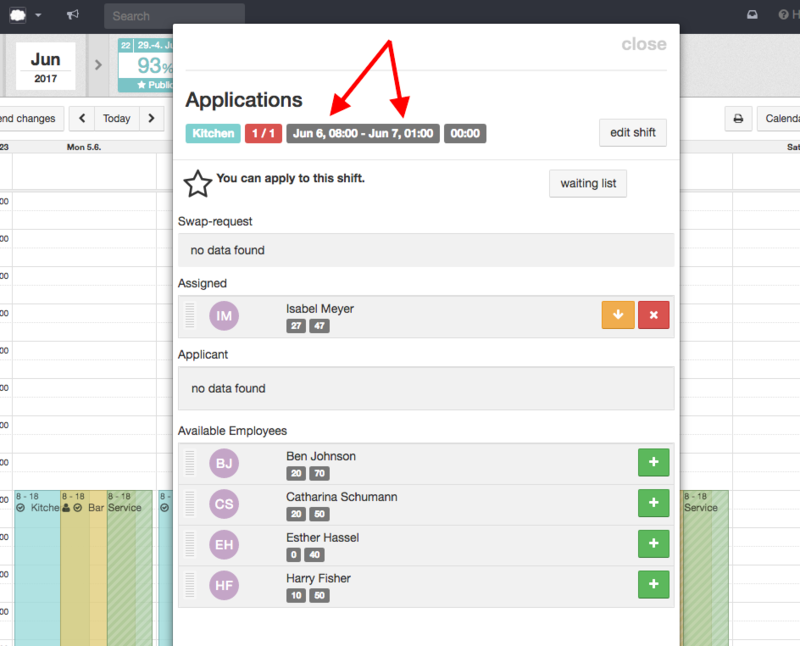 Here you can also change the date and time of the shift by clicking on 'edit shift'. Notice: If you want to change the end date of a shift that has been already created, the process is similar to the process described in the calendar view: click on the shift and 'edit shift' to make the necessary changes.